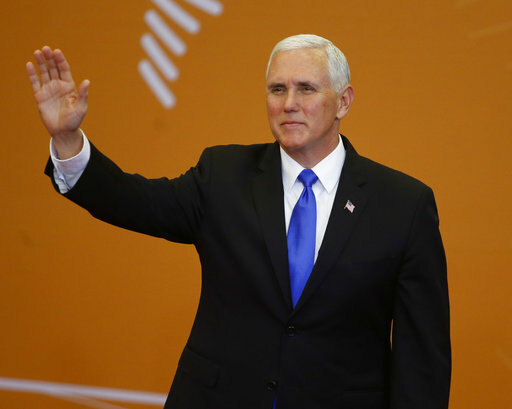 Vice President Mike Pence has congratulated Chile's Sebastian Pinera on his return to the presidency. 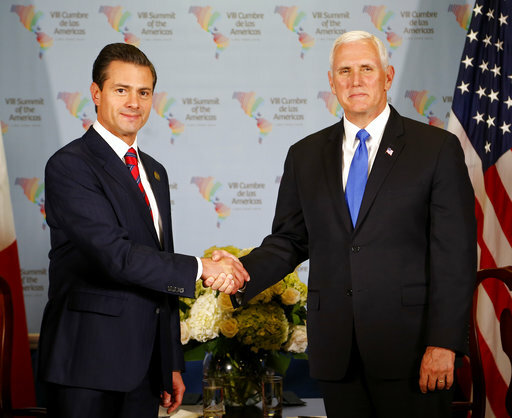 The vice president on Saturday praised Chile as a strong U.S. ally as the two leaders met along the sidelines of the Summit of the Americas in Lima, Peru. 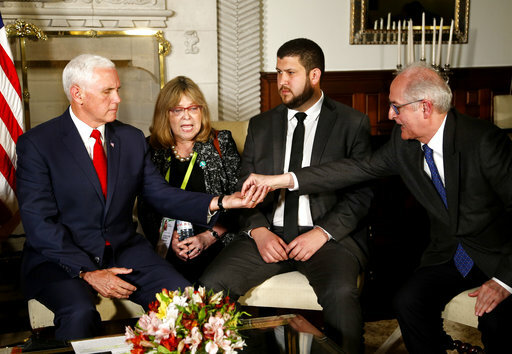 Pence thanked Pinera for Chile's help in addressing a political and humanitarian crisis in Venezuela and for supporting the U.S. missile strike in Syria following a suspected chemical weapons attack by Syria against its citizens last weekend. 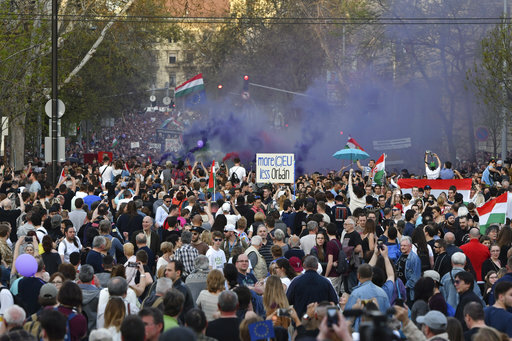 The billionaire Pinera served as Chile's president from 2010 to 2014 and returned to office in recent weeks. 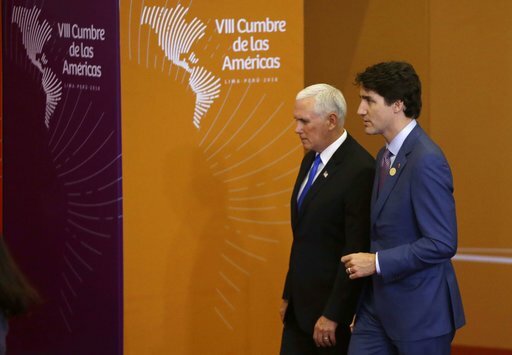 Vice President Mike Pence says there's a "real possibility" the U.S. could reach a deal with Canada and Mexico on a renegotiated North American Free Trade Agreement "within the next several weeks." 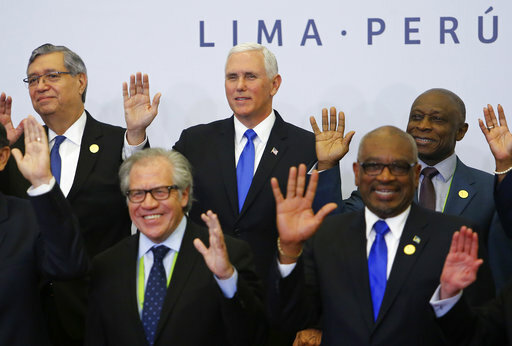 Pence told reporters after meeting with the leaders of both countries at a summit in Lima, Peru, on Saturday that he'll leave the summit "very hopeful that we are very close" to a deal that will be better for the U.S.
President Donald Trump has long assailed the impact of NAFTA on U.S. workers and insisted on a new round of negotiations with Canada and Mexico on the deal. 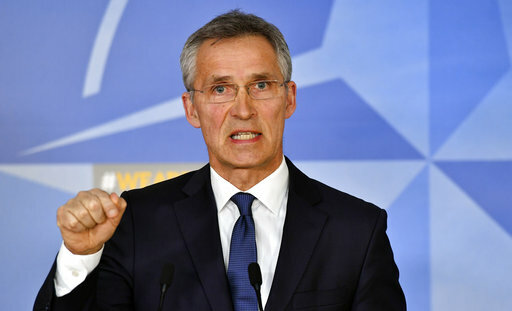 He has said if he's not happy with the terms, then he'll pull the U.S. out. 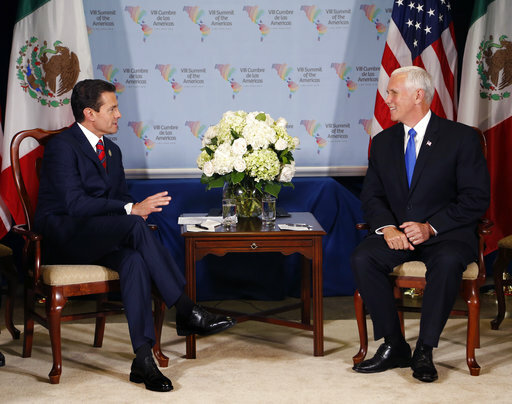 U.S. Vice President Mike Pence has told Mexican President Enrique Pena Nieto he looks forward to discussing the North American Free Trade Agreement and a "broad range of issues." The Mexican leader says they will discuss NAFTA and other parts of their relationship involving "cooperation and mutual respect." 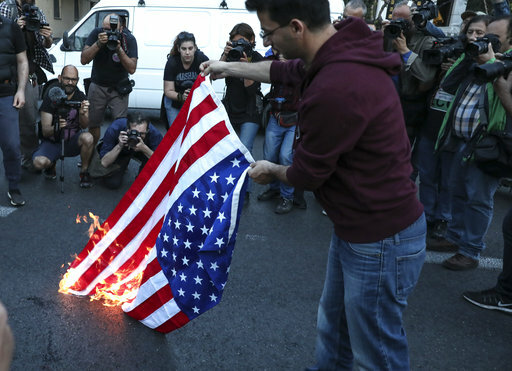 Saturday's meeting comes amid tensions between President Donald Trump and Mexico over immigration and the president's calls for a border wall. The two leaders did not respond to shouted questions from reporters about the border wall. 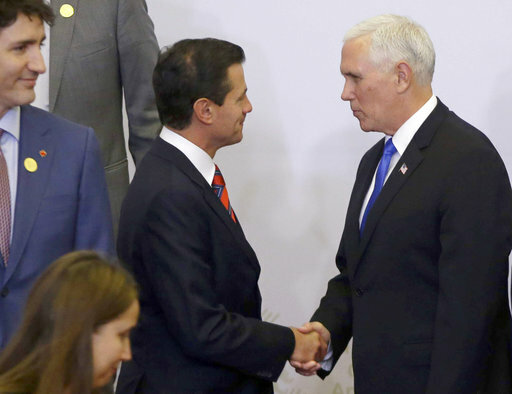 Trump and Pena Nieto have yet to meet in person since Trump became president last year. 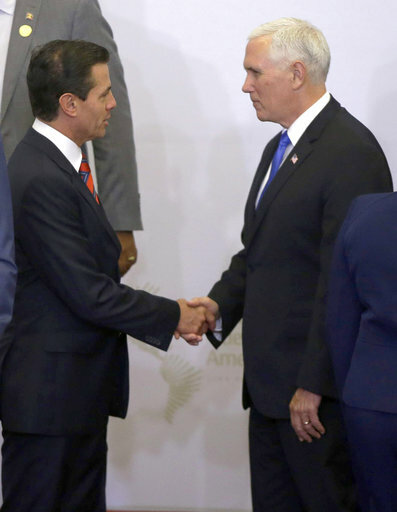 The meeting with Pence was announced on Friday and follows Trump's push to deploy National Guard troops to the U.S.-Mexico border to fight illegal immigration and drug smuggling. 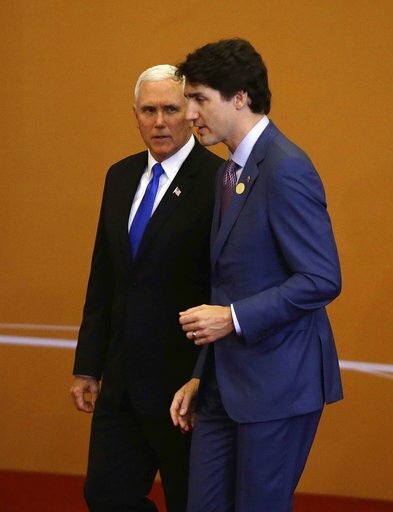 Vice President Mike Pence has told Canadian Prime Minister Justin Trudeau that the U.S. is "encouraged" by the progress on negotiations on the North American Free Trade Agreement and hopeful it can lead to "more fair and reciprocal trade." Trudeau said Saturday that there have been "positive momentum" in the NAFTA talks. Pence says he looks forward to discussing NAFTA and a broad range of issues between the two countries. While President Donald Trump has vowed to scrap NAFTA and pull out of trade agreements as part of his America First policy, most of the region has been moving in the opposite direction. 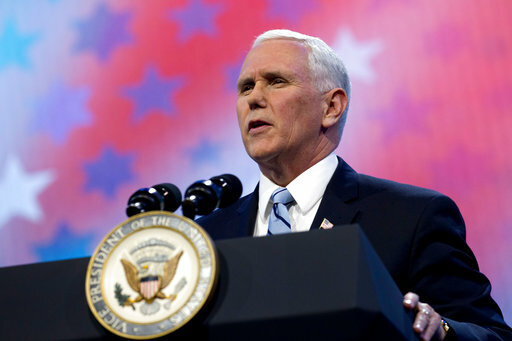 U.S. Vice President Mike Pence is praising Peru's "strong stand" on the "tyranny and humanitarian crisis" in Venezuela. 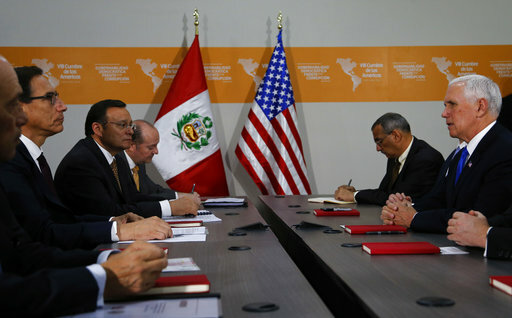 Pence said Saturday in a meeting with Peruvian President Martín Vizcarra at the Summit of the Americas in Lima that he's grateful for Vizcarra's role in withdrawing Venezuelan President Nicolas Maduro's invitation to the summit. He says President Donald Trump is sending his regrets that he couldn't attend the summit. Pence took Trump's place at the summit so the president could remain in the U.S. to manage the response to the apparent chemical attack by Syria. 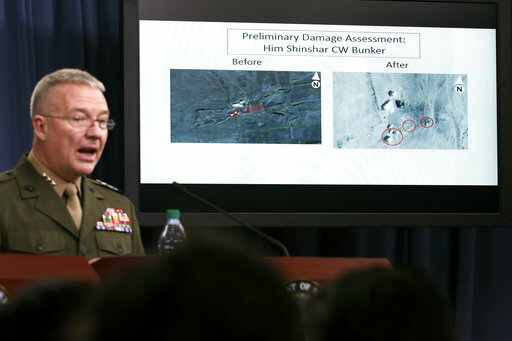 The U.S. led a missile strike in Syria earlier Saturday. Vizcarra says addressing corruption "is the utmost importance to us." He was sworn in after Peru's congress voted to accept the resignation of President Pedro Pablo Kuczynski after a corruption scandal. 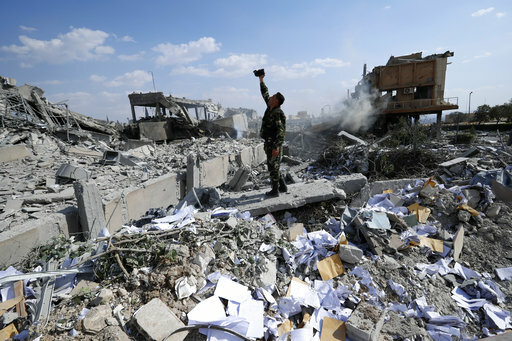 U.S. Vice President Mike Pence plans to address Latin American leaders Saturday on President Donald Trump's decision to launch air strikes in Syria in response to a suspected chemical attack in the war-torn nation. 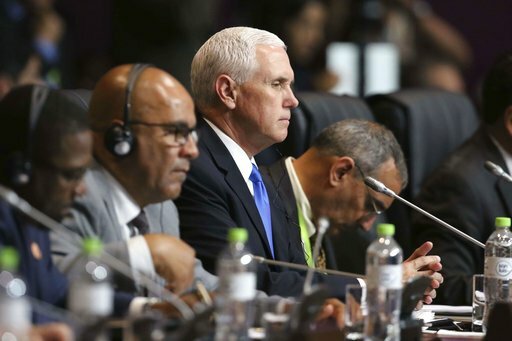 Pence was whisked away from the Summit of the Americas late Friday so he could inform U.S. congressional leaders by phone of Trump's plans to announce the missile strikes. 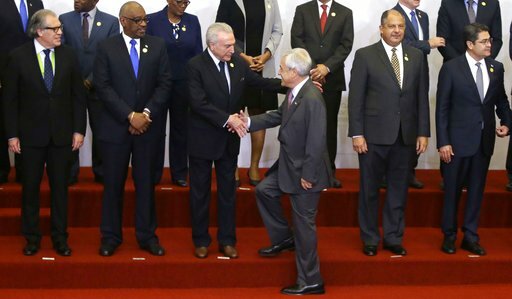 The vice president spoke to top Republican and Democratic leaders from his hotel suite before attending a banquet hosted by Peruvian President Martin Vizcarra. 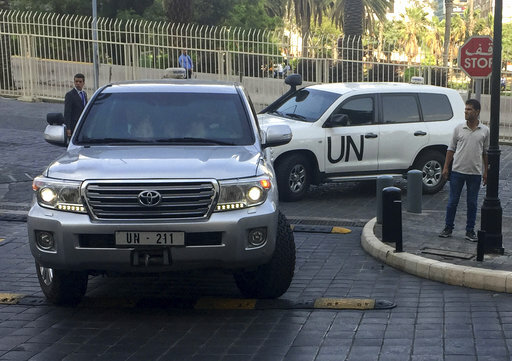 For Pence, the calls and schedule changes served as the latest example of his supporting role here in place of Trump, who pulled out of the summit so he could manage the U.S. response to the suspected chemical attack in Syria.